A full house for the Pick of the Week podcast this week! No one gets left behind here, as Simon, Sheldon, Dana and Rob carry you through pastures green, on their Godly shoulders of grace, into a land where the rivers don’t flow with just simply honey, oh no, they flow with comic books from the week of November 4th! So thanks for coming back Comic Impact listeners! Rob had the pick last week with the outstanding, Guardians of the Galaxy, which means it’s Simon’s turn to choose his favourite book. This week starts off with a real punch in the nuts at some fairly shoddy comics from Rob & Simon, before moving onto topics such as Scottie Young, and Beast’s inability to flirt without making a fool of himself! Sheldon sticks around to defend his buddy Cap’, before popping off to work, giving Simon a moment to talk about his POW without being attacked (rightly or wrongly, you decide listeners!). Simon also finds out that he is now, the ‘VERTIGO GUY‘ on the Comic Impact Staff! Tune in for a fun episode this week folks, it’s going to be a good one and take my word for it, you’ll enjoy it. 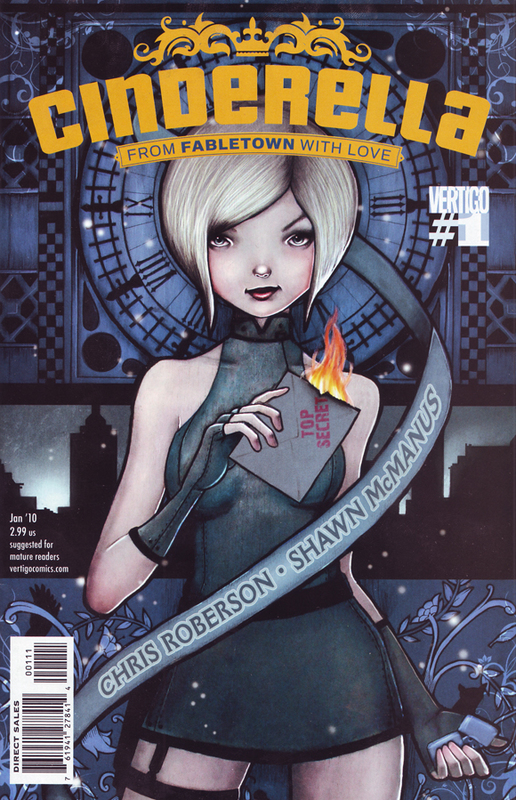 So Simon’s (Mr. Anti-Disney’s) POW is funnely enough Cinderella: From Fable Town With Love #1, by Vertigo. Talked about in this episode as well, is Marvel Zombies: Evil Evolution, Doom Patrol #4, Haunt #2, Astonishing X-Men #32, Ultimate Armor Wars, Ultimate Spider-Man #4, Deadpool Team-Up #899, Marvelous Land Of Oz #1, Captain America: Reborn #4, Stump Town #1 and Fathom #9.